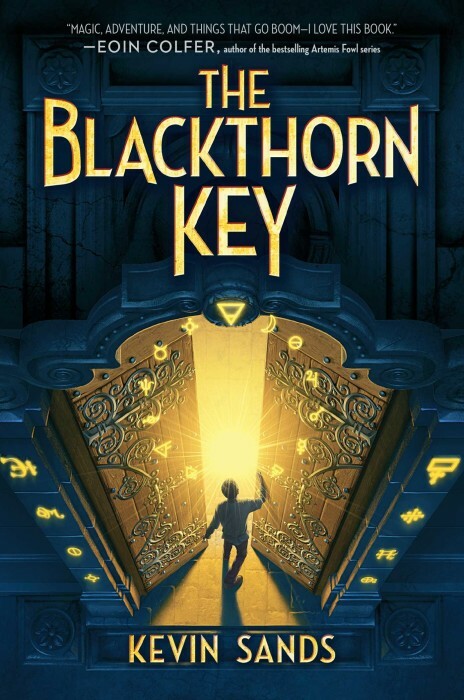 The Blackthorn Key by Kevin Sands is a middle-grade adventure novel, with a hint of darkness. It centers around Christopher Rowe, an apprentice to apothecary Benedict Blackthorn during the 17th century. I enjoyed reading The Blackthorn Key by debut author Kevin Sands. Christopher is an amiable character whom we feel sympathy and easily root for him. It’s clear from the get-go who the good guys and bad guys are. The story opens with Christopher working in his master’s shop and we quickly learn that he was aging out of the orphanage when Master Benedict took him on as an apprentice. Christopher is quick to learn, curious, and mostly respectful. He has the normal quirks of boys his age—playing with things he shouldn’t, sneaking off with his friend. The Blackthorn Key is set in 1665 in London, England. The Restoration Era signaled the return of the monarchy in England, and there is still a great deal of turmoil and mistrust. For The Blackthorn Key, this mistrust is not explicitly contextualized. Instead, it is embodied in the recent string of murders of other apothecaries, which the Guild is in an uproar about. The historical details and description provided by the author is just enough to give the reader a sense of the area and era without being overwhelming. These murders, and the possibility of a cult, is the mystery that fuels the novel. In the opening scenes, the story is set very well, with Christopher introducing himself, his master, and the situation in a lighthearted tone. Although the novel is set in 1665, it didn’t feel like a historical novel. Part of that is good—it’s accessible to a middle-grade audience without getting bogged down with details—but it also meant that sometimes the characters didn’t feel right in the setting. Master Benedict is described as kind and generous toward his apprentice, which was very uncharacteristic for the 17th century. The characters interacted and spoke in a very modern way, from Christopher’s friendship with Tom to other characters in the neighbourhood. It felt inauthentic that there were very few consequences for Christopher’s actions—such as breaking and entering a crime scene, lying to police officers—even though it’s mentioned that he ‘shouldn’t be doing this’. His best friend Tom seems to suffer more of the consequences. But aside from the initial trauma, it always feels as though Christopher will come out triumphant. The suspense factor wasn’t high enough for me, and I felt that the degree to which Christopher and Tom could meddle in the affairs was not believable. My only other concern is that it feels very much like a “boys book”, with females only as secondary characters. But I still think kids ages 8-12 of any gender would enjoy it, for the puzzles and adventure. Despite my misgivings, I think that the characters suited the adventurous tone, and overall made for an enjoyable read. The code breaking puzzles were a lot of fun, and the cult aspect has the clock ticking to solve the mystery, so the pacing was perfect. Full disclosure: I was sent an unsolicited ARC by Simon & Schuster Canada, that came packaged with a “Blackthorn Herbal Remedy” (tea leaves). The opinions expressed here are my own and this complimentary copy did not affect my review in any way.